Californians continue to support state and local measures to save water, even if they're not sure what conservation target they're trying to hit. That's one impression from the latest drought polling by the Public Policy Institute of California, a nonpartisan research group in San Francisco. In the statewide survey taken in mid-July, respondents (not surprisingly) cited -- by an overwhelming margin -- the drought and water supply as the most pressing environmental issue facing California. Fifty-eight percent chose the drought while no other concern, such as air and water pollution, cracked double digits. 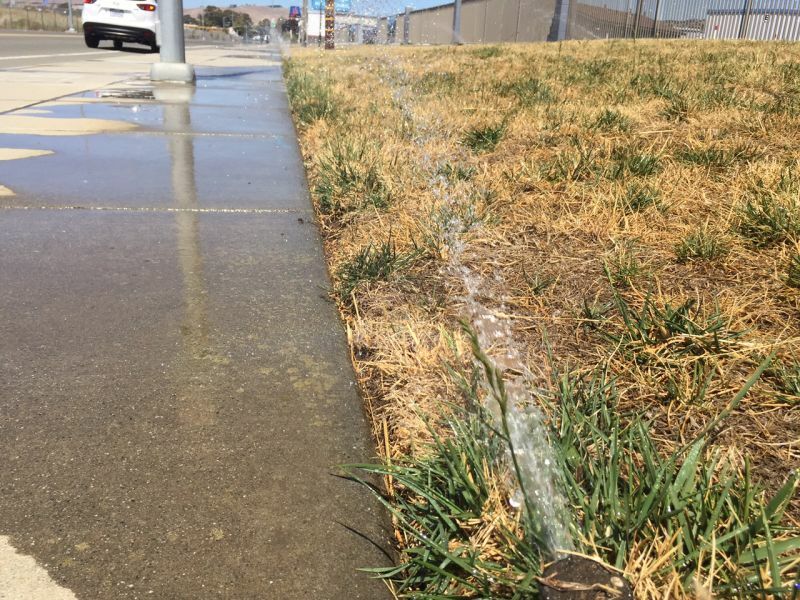 Asked about Governor Jerry Brown's water restrictions, which mandate a 25 percent statewide reduction in water use, a combined 82 percent of respondents said the target was either "the right amount" or not stringent enough. Only 11 percent said the mandate was too onerous. Locally the conservation mandates vary widely, from a low of 4 percent required savings, all the way up to 36 percent, and a majority of respondents didn't seem to know what local target they've been trying to reach. Sixty-four percent said they did not know what precise reduction their local water district has required of them. That bit of dissonance brought a verbal shrug from the head of the trade group for the state's municipal water agencies, who cited high awareness among homeowners, in particular. "You can't bat a thousand," says Tim Quinn, executive director of the Association of California Water Agencies. "But we're not doing too bad, I would argue." Quinn says he thinks the conservation message is getting through. "We have turned a corner this summer," he says. "People in California got it and they're taking those actions and saving a lot of water, which is the difference between gettin' by and not gettin' by." In another significant finding, nearly two-thirds of Californians made a connection between the drought -- now well into its fourth year -- and the changing climate. 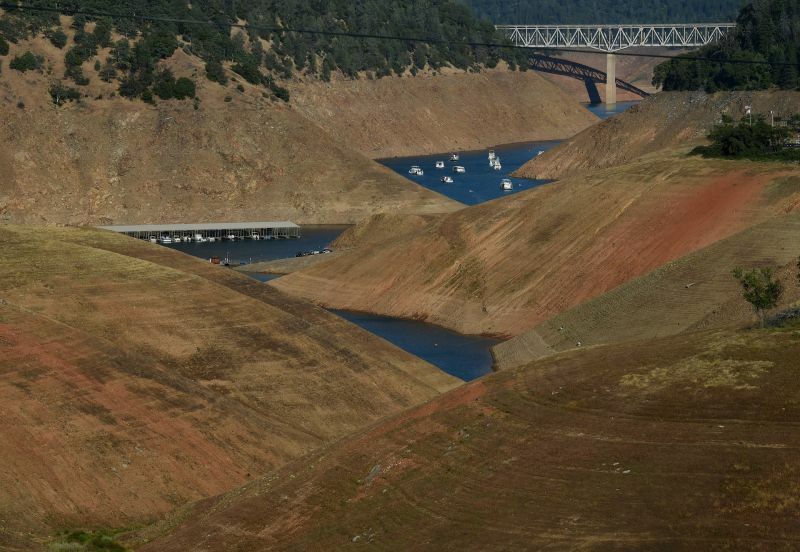 Sixty-four percent polled said that "global warming has contributed to California's current drought." The operative word there may be "contributed." While some studies have concluded that climate change was not likely the key causal factor in the drought, it's widely acknowledged that record-high temperatures -- especially last year -- have worsened impacts from the dry weather. Another lopsided majority of survey respondents -- 84 percent -- said they expected that global warming would lead to more droughts in the future. In a similarly timed statewide poll by the California Water Foundation, about half the respondents rated their concern over the drought as at least 90 on a scale of 100. And a majority said they'd support monthly "water fees" of as much as $4, to support projects to help ensure an adequate water supply.